This beautiful beaker bong from the official smoking brand of Bob Marley, Marley Naturals, is a truly awesome piece. The chunky design of this bong gives it a premium look and feel which is both stylish and durable no matter what your taste. 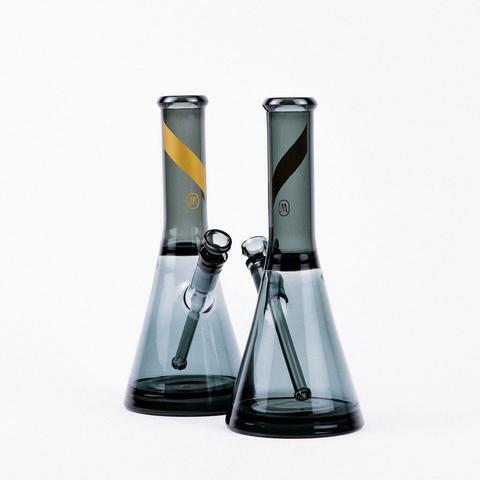 There were no corners cut in the design of this beaker bong to ensure that you get the best possible product. They chose to use borosilicate glass as the best material for this bong as it’s capable of withstanding high temperatures and doesn’t break easily. To prevent any accidental knocks and falls the bong is thickly bolstered in the circular beaker base. Once water is added, you’ll have one of the most stable smoking pieces going. A healthy sized male bowl is included which can hold enough herbs to create some huge clouds. 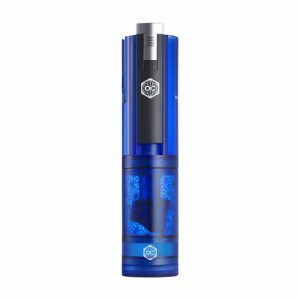 Cloud blowing has been made easier and more comfortable with the addition of the diffuser which is built into the downstem. Before the smoke bubbles through the water it’s forced to split into several directions, widening its surface area and cooling it further. An advantage to water-cooled smoke is that you can really rip on your bong without experiencing as much discomfort on your throat and lungs. Maintaining your beaker bong is really straight-forward thanks to the removable downstem and wide mouthpiece. We recommend using a brush, rubber stoppers, and isopropyl alcohol. 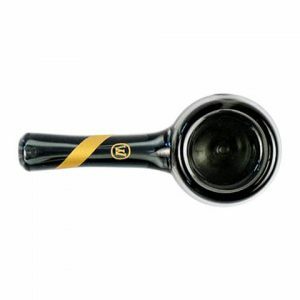 Keeping in suit with the other glass pieces from this collection the beaker bong has a smoked glass finish accented with golden highlights including the Marley emblem and golden Lion on the base. The smoked glass beaker bong comes beautifully presented in a display box which is ideal for transporting your bong or gifting it to a loved one.